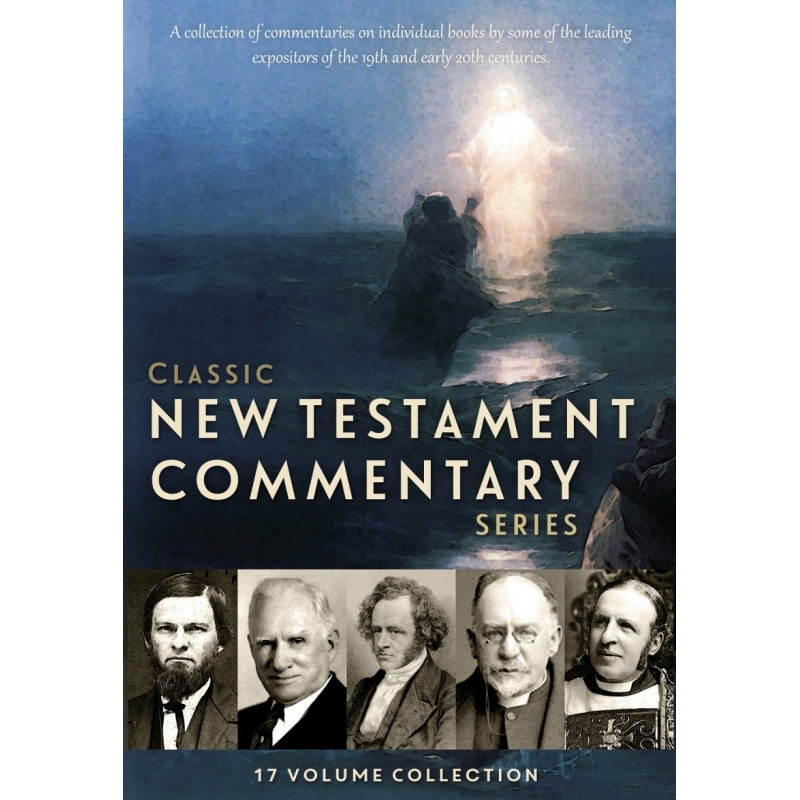 Biblesoft presents Classic New Testament Commentaries - 17 volumes (a companion to our popular Classic New Testament Studies): a collection of commentaries on individual books by some of the leading expositors—scholars and preachers—of the 19th and early 20th centuries. E. W. Hengstenberg, John Eadie, George Milligan, Robert Haldane, H. C. G. Moule, and others. New this week! 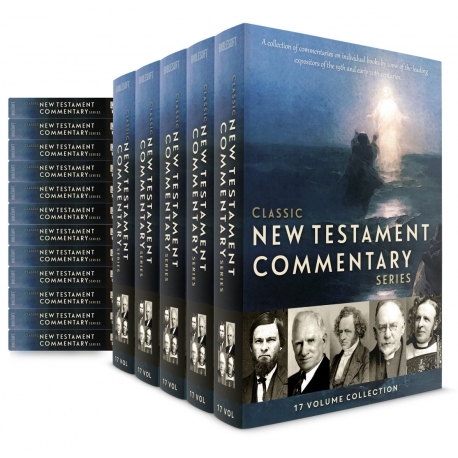 Biblesoft presents Classic New Testament Commentaries - 17 volumes (a companion to our popular Classic New Testament Studies): a collection of commentaries on individual books by some of the leading expositors—scholars and preachers—of the 19th and early 20th centuries. E. W. Hengstenberg, John Eadie, George Milligan, Robert Haldane, H. C. G. Moule, and others. 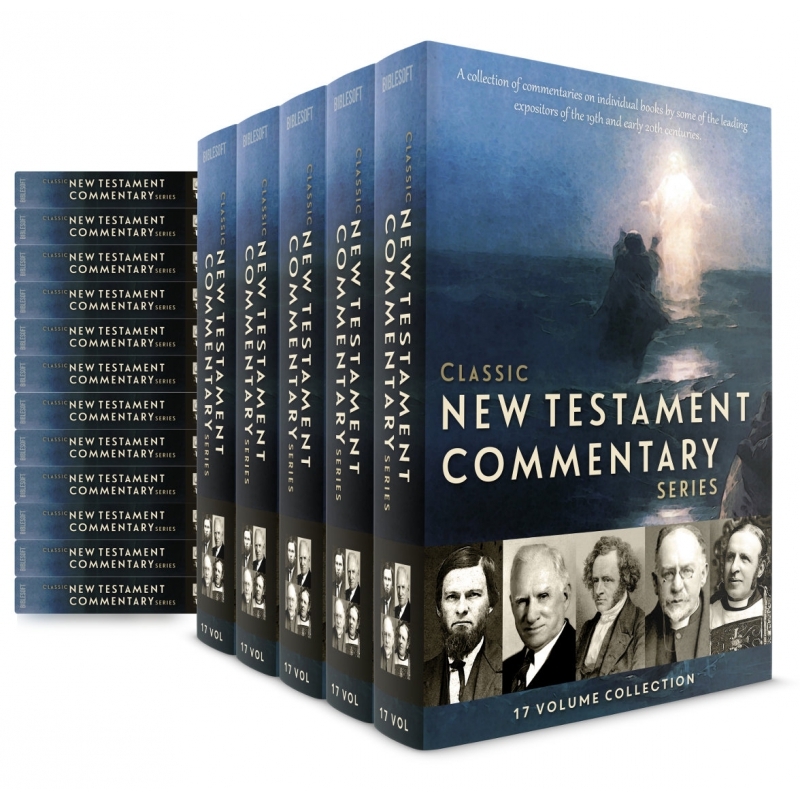 This was an exciting time for New Testament studies—and these works represent much of the best scholarship (both critical and evangelical) of the period. A commentary (on Matthew) from noted Baptist pastor and scholar John A. Broadus. It was included as part of "An American Commentary on the New Testament" (edited by Alvah Hovey). Broadus was professor of New Testament Interpretation and Homiletics at the Southern Baptist Theological Seminary and brings such scholarship and insight to this commentary. This is Hengstenberg's classic 2-volume commentary on the Gospel of John (from 1865, translated from the German). It is a detailed verse-by-verse exegetical commentary, that occasionally touches on the many text-critical questions. It is written in the same style and quality as his famous Commentary on the Book of Revelation (also available from Biblesoft). It contains an extensive concluding summary (Introduction) on the composition and authorship of the book, etc. All cited Greek is included. References to the writings of Josephus, Church Fathers, etc., will be tagged/linked. There have been many renowned commentaries and studies on this Gospel; Hengstenberg's contribution (from an Evangelical Lutheran perspective) is a major treatment from this period, which deserves to be included. Written by George Milligan (most famous for his contributions to the Moulton-Milligan Vocabulary of the Greek New Testament), this is a detailed commentary on the (Greek) text of the Epistles to the Thessalonians (among the lesser studied of Paul's epistles). It is a scholarly, text-critical work, with an extensive Introduction and Supplementary notes. Because it is a commentary on the Greek text, all Bible references are linked to the Greek (the Septuagint for OT references). In addition, all relevant references to the Pseudepigrapha, Josephus, and the Church Fathers are linked (for Josephus and the Apostolic Fathers, links are to the Greek text as well). Published in 1908. A noteworthy commentary on Galatians, by Evangelical Scottish preacher and missionary James Alexander Haldane (younger brother of Robert), published in 1848. Its main theme an purpose is indicated by the book's subtitle: "Showing that the Present Divisions Among Christians Originate in Blending the Ordinances of the Old and New Covenants". It also contains, as an appendix, an exposition of Matthew 28:16 ("The Opening of the Apostolic Commission"). Also included here are two tracts: "Judaism and Christianity", and "Reasons of a Change of Sentiment and Practice on the Subject of Baptism"
This commentary on Hebrews was posthumously published work by James Alexander Haldane, noted Scottish preacher-missionary and brother of Robert Haldane. This commentary is taken from unpublished manuscripts, "Notes Intended for an Exposition of the Epistle to the Hebrews". One of the best-known works of Robert Haldane, eminent Scottish missionary/evangelist, published in 1835, and printed/reprinted numerous times. Subtitled "A Devotional Commentary", this work on Galatians by Robert Baker Girdlestone (best known for his "Synonyms of the Old Testament") is divided into 2 parts: (1) an expository section, passage by passage, and (2) a series of "Short Studies on Subjects in the Epistle"
Dr. Robert P. Martin According to the New Schaff-Herzog Enclyclopedia of Religious Knowledge, "These commentaries of John Eadie are marked by candor and clearness as well as by an evangelical unction not common in works of the kind." John Eadie (1810-1876) was a prominent Scottish Seccession and United Presbyterian Church minister and New Testament scholar. He was appointed Professor of Biblical Literature in the United Presbyterian Divinity Hall in 1843. His widely acclaimed commentaries on Paul's epistles prompted his appointment to the New Testament committee engaged in preparing the Revised Version of the Bible in English. The H. C. G. Moule Collection brings together seven volumes of commentary on the Pauline epistles. Moule was the first principal at Ridley Hall Theological College, Cambridge, as well as the Norrisian Professor of Divinity. His writings are informative, yet accessible, making them useful both to scholars and laity. Articulating the distinctive doctrines within the epistle to the Hebrews, G. A. Chadwick offers concise commentary that thoroughly covers the function of the law in relationship to atonement through Christ. Walking through the text chapter-by-chapter, the author provides exposition on the authorship, style, and scope of the epistle. Leaning towards Pauline authorship, Chadwick reiterates and expounds the key themes found in the text. Theologian William Newell divides up his study of the book of Revelation into two parts: judgment and the new creation. He goes over the each chapter verse-by-verse, presenting a solid and thorough interpretation of this often confusing book of the Bible. Newell doesn’t believe that this book should cause fear or division, but should strengthen the saints until the return of Christ.